I am originally from Northern California, I raised alpacas growing up until I joined the Navy in 2010. It will be two years this summer, I used to think runners were crazy and then I somehow joined them. 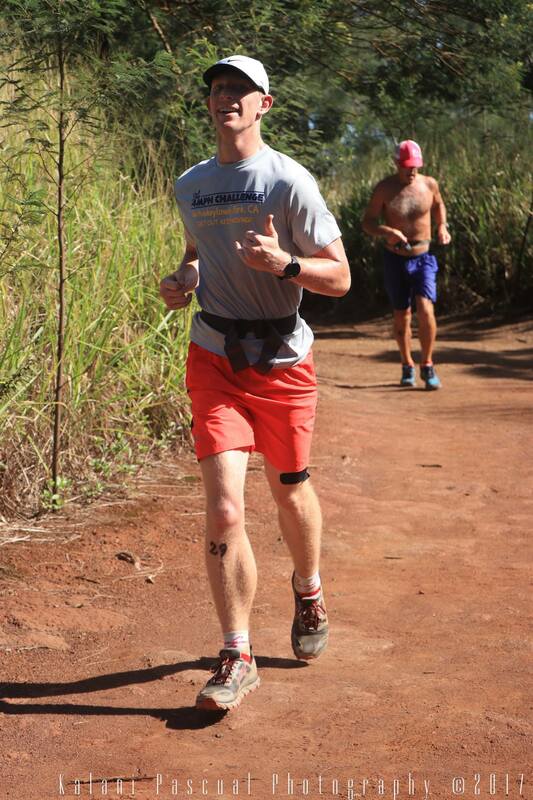 Marathon PR is 3:57 at Honolulu, as for favorite races I really enjoyed the Cow Race and the 4mph Challenge. Run the Peacock this October and two weeks later run the New York Marathon. Goal wise I would like to increase my speed and stay healthy. Like everyone Boston is up there, as for ultras one day I would love to run Western States and Ultra Trail Du Mont-Blanc. 25-30 right now, nothing too crazy. I love changing up speeds, anything that makes me feel like I really had to push myself to complete that work out. Pre Race: Ezekiel bread toast or fruit. Post race: Sounds weird but I think I have enjoyed an ice cold IPA more than anything following a long race. I love the book Anatomy for Runners, I am always consulting it and trying to fix my technique. Brian Morrison finishing Western States is pretty monumental, finishing something you started ten years earlier is pretty fantastic. Before HRL I would just run, I had no strategy or goals, my milage was more often in the 40s-50s every month but I feel I have gotten faster and better stamina with the proper training HRL provides and with less miles. The runs fit in my schedule, also the 4 week plans are definitely more personalized than any running plan you will find online. There is no replacement for experience. Do you have an Instagram/twitter handle that you would like us to include with your profile? Not super active but I have an instagram, my name is THETCRANE. I’m having a blast being a part of the running community, just wanted to thank everyone for being so awesome. Photo from Kalani Pascual Photography.